Combine cacao powder, raw honey and coconut oil in a bowl. Stir thoroughly together to get a smooth creamy mixture. 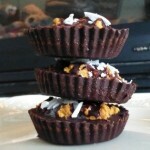 Fill the cupcake liners with just enough chocolate to cover the bottom. This will make roughly 8-10 if you are using full size cupcake liners, 16-24 mini-cupcake liners. Reserve the rest of the chocolate and place the cupcake liners in the freezer for 8-10 minutes. Combine pumpkin puree, peanut butter and cinnamon in a second bowl to form a thick paste. Remove liners from freezer and top each with a spoonful of pumpkin-peanut butter paste. Using the rest of the chocolate, fill each cupcake liner to cover the filling. 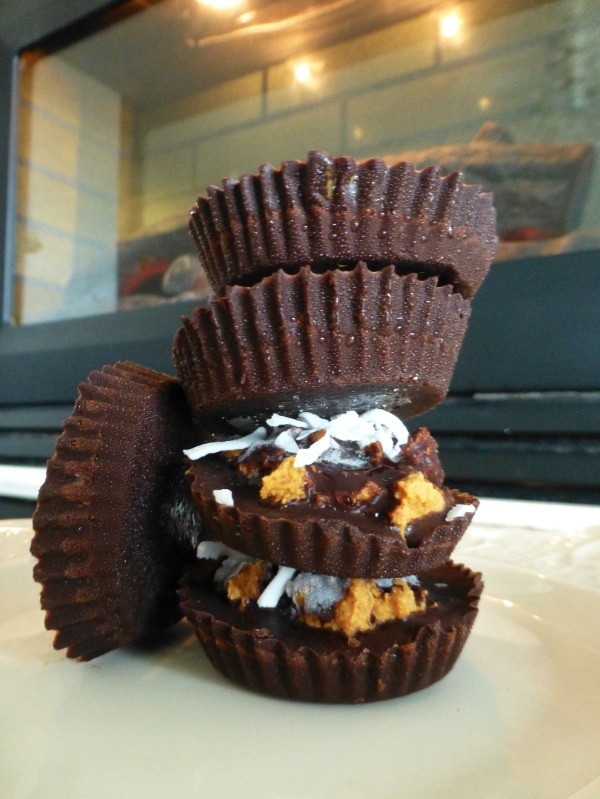 Top each with a sprinkle of unsweetened coconut flakes (optional) and freeze until solid to have a raw Halloween Reese’s thats better than the real thing! We love discovering new recipes, ideas and research and share inspirational raw foodist with you. If you're looking for a recipe for your family, a quick snack, a great nightly meal or a tasty treat that will not put on the pounds, then you have came to the right place.